Is it unkind to be assertive? There is a difference between being assertive and being aggressive. We all have needs to be met. There is a time and a place to be assertive in communicating our thoughts, feelings and needs to another person. As long as we do not violate the rights of another person, then we are not being unkind to them. The act of being aggressive barrels over the top of the rights of other people. Being aggressive is when someone demands that their desires are met, no matter what the consequences may be to other people. Aggressive interaction does not concern itself with the feelings, thoughts, ideas or desires of the other person. If you are listening to and considering the other person, then you are not being aggressive. You can let someone know how you feel and how a situation is affecting you. Speaking up for yourself and communicating about how you feel, is assertiveness. How can we be assertive, without crossing the line into aggressive? This involves being mindful. If you are mindful of others, then you will be aware if something is upsetting them. We should not call people names, yell at them, or treat them in a way that is controlling or manipulative. We should not belittle, embarrass or humiliate someone. Threats, blackmail and intimidation are examples of violating a person’s rights. If you are simply stating how you feel about something, in a way that is not mean, then you are not being aggressive. You should never do anything that will knowingly lower someone’s self esteem. Verbal attacks on someone’s character are not kind. Deliberately violating the rights of another person is aggressive. What is the difference between passive and assertive? Being passive is when you are compliant with what other people want, to the point where you are actually allowing your own rights to be violated. Passive interaction is not making your needs known to the other person. It is simply allowing the other person to do whatever they want, even if it is stepping on your personal rights. Other people may not know how something is affecting you, unless you explain it to them. Why are some people naturally assertive while other are naturally passive? Passive behavior is something that is taught during childhood in some families. Other families encourage assertive behavior. Some people are born into families that encourage self-esteem and individuality. They are encouraged to tell people how they feel. Their needs are considered important in the family. Being assertive is not punished; rather it is a quality that is admired. Other people may have been brought up in more dysfunctional types of families. They were taught to meet the needs of others, while neglecting their own. This is typical in families with an alcoholic parent. The needs of the parent take precedence over the needs of the child. There may be one child in the family that is chosen to take care of the parent. This child is taught to neglect their own needs and violate their own personal rights. Whatever behaviors were taught to you as a child will naturally carry over into adulthood. 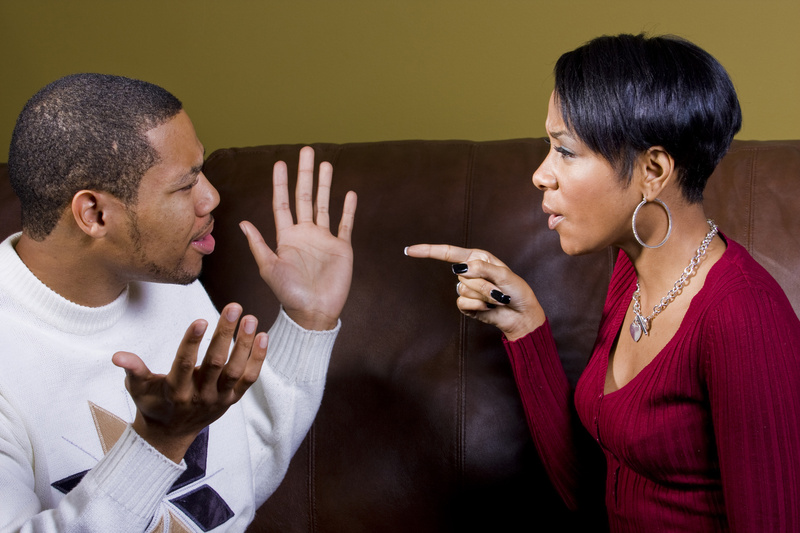 Many adult children of alcoholics have trouble being assertive, or even identifying their own rights. They are not used to thinking about speaking up for themselves. Isn’t being passive a more kind way to be? Being passive all the time means that you will have your rights violated. This is not being kind to yourself. Part of being a kind person is also showing kindness towards yourself. What are the consequences of being too passive? There are negative mental health consequences to being too passive on a regular basis. It will end up lowering your self-esteem and you will start to feel worthless. The feelings of worthlessness and low self-esteem can cause depression. Passive behavior on a regular basis will also cause anxiety, which can develop into a severe anxiety disorder. Holding in your feelings all the time is not good. When you do not express your thoughts about things then others will just disregard you. This continual disregard of your feelings by others, can cause the feelings of isolation and alienation. Severe anxiety can build up over not having your needs considered by other people. What is the ideal way to handle being assertive? People are individuals and each person has a unique way of expressing themselves. It is important to be mindful. Learn to be aware of the feelings of others as well as your own feelings. Do the best you can to communicate your feelings, about something that is bothering you, in a way that is not challenging the rights of another person. Simply speak to others and let them know when a situation is hurtful to you. There are times when the other person will care about what you say and adapt according to your needs. There are also times when the person you are dealing with will not care. The point is to practice asserting yourself in situations where you feel that you are being violated. The act of speaking about your thoughts will allow you to be more mindful about your own feelings. The more mindful you learn to be, the more your self esteem will go up. The more your self esteem goes up, the less at risk you will be for mental illness such as depression and anxiety disorders. Thank you. I am glad this was helpful ! Yes, I have been working on these issues for a while now and I have begun to find that using assertive techniques can help accomplish goals without hurting anyone else. Yes, it is important to be assertive and yet kind. Some people, due to how they were brought up do not know the difference of being aggressive and assertive. They think they are frank, candid, but they are not aware that they are being improper. This article reminds me of someone. I get that ! LOL I think all of us can think of someone who is frustrating to deal with because they are “in your face” aggressive. You are right that people are not all trained in how to interact with others. Different backgrounds have different effect on how people interact. You are so right. My mother-in-law was a very strong personality; I was more passive. I learned I had to be assertive to get her to listen to and respect me. She didn’t mean to run over the top of me, but didn’t react well when I was assertive. Some of that was my fault because I didn’t do it well. But I learned and our relationship got better. Because I learned to be assertive, I earned her respect. I learned not only with her, but the right way to do it with others–applying kindness. Yes, I have trouble communicating with my mother in law as well. Thank you for your comments and I hope this post was helpful in some way to the readers. Thank you. These are ideas I have been studying about. I have been the one to get walked over in the past, because I felt like I did not know how to speak up for myself. Whether we are learning to speak up for ourselves and be more assertive or whether we are learning to be assertive rather than aggressive, it takes practice in many situations to get the right balance. I have been struggling with that also. That is what motivated me to do the research about this issue. Once I felt a little more confident, as I practiced these things, then I decided to write a post about it. The original research that I did, was to help myself. I could not understand how people I saw standing their ground, were able to not come off as rude. But I saw people do that and I wanted to learn how to have the confidence to do it. Practice is easiest in situations that you do not care about very much. Try it somewhere other than work, and other than with people you have to see again, A good situation to practice in would be somewhere that you can act like someone else for 10 minutes. Just pretend you are acting and go into walmart. Go up to the counter and ask them about their return policy. Pretend there is something you have at home that you want to bring in to return. Ask them if they will take it without a receipt. Be assertive about the fact that you need to have a working item and the situation needs to be resolved, since you shop here all the time and you would not return something unless there was really a problem with it. You will be surprised how people respond to you differently when you talk about the end goal and focus on what you would like done. rather than focusing on your feelings. It is just business and you want to know what their policy is. Also what can they suggest that will be helpful to you. Just ask them to do their job and treat them with respect while you also seem like you deserve respect. This kind of practice helped me.